I have a confession to make: I am completely, 100% dependent on online ordering when I’m overseas. I’m not proud of it necessarily, but sometimes you just have to do things you aren’t proud of when put into situations outside your comfort zone. I’m picky. I’m particular. I like things a certain way. And when I’m overseas I can’t find my favorite things in the grocery stores, or clothes that actually fit me, or the fancy brand of dog/cat food I like. I can’t help it. It’s also fun and comforting to get a package while overseas. In Dushanbe I went a little subscription box happy and at one point I was regularly getting Barkbox, Meowbox, Candy Club, and Ipsy every single month. The mail room staff knew me well. Here in Tbilisi we have two different options for getting mail, the Pouch, and a DPO (Diplomatic Post Office). I won’t get into a ton of detail about the Pouch since I already explained how that magical system works a few years ago, but this is my first experience with a DPO. And at first I was excited about it. With a DPO or APO (Army Post Office), there are a lot fewer restrictions to what you can and can’t ship. With the Pouch, we were limited to 16 oz. of liquid per box, but it was still generally frowned upon to ship liquid in general. Need I remind everyone of Dushanbe’s Maple Syrup Scandal of 2016. Thank goodness that day happened to be one of the rare occasions we DIDN’T get mail. Ok I’m getting off topic. With the DPO, we can ship a greater variety of products, bigger/heavier things, and it’s generally a lot faster than the Pouch. Some people here have told me they’ll get Amazon packages in less than a week. Pretty spectacular considering the Pouch can take a month or longer. 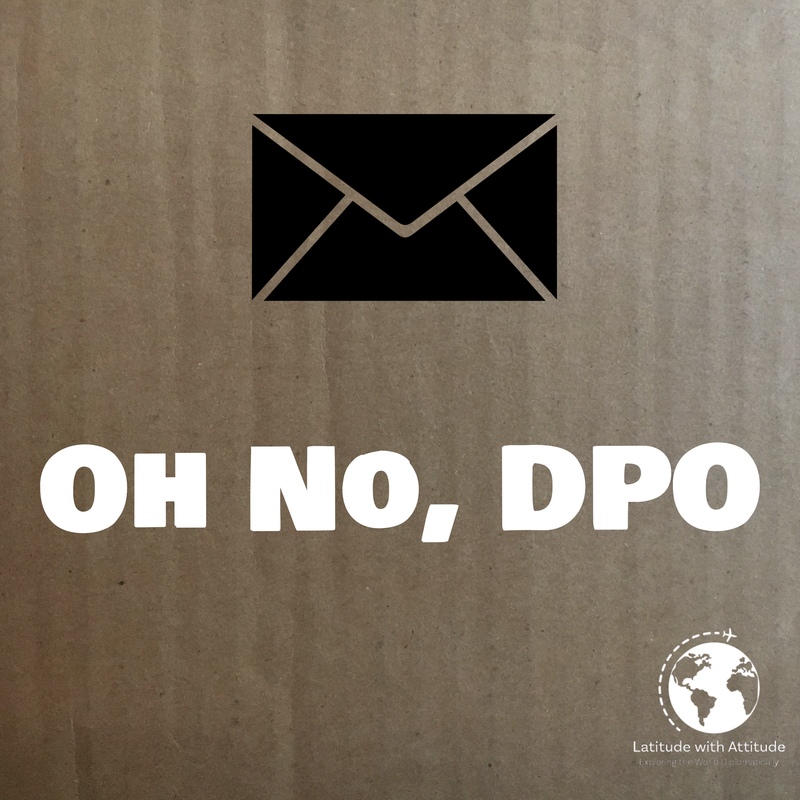 There are two main caveats to a DPO though: not all retailers ship to DPO/APO addresses, and you have to fill out customs forms for anything you ship. There’s also prohibited products, but it’s still a lot more freedom than we had with the Pouch being our only option in Dushanbe. And, if we run into an issue with the DPO, we still have the Pouch to fall back on. To me it sounded like the best of both worlds. There’s a weird time when you move overseas. You’re air shipment is here, but your ground shipment hasn’t arrived yet. You’re sick of eating out all the time, but you don’t have your whole kitchen and consumables to cook a proper meal. The little bit of animal supplies you brought with you is almost depleted, but the main supply is still a few weeks away. You’ve been in your new house for a few weeks and you discover some weird quirk that makes you crazy but you know you could fix it if you had some specific item from the U.S. So you go on an online ordering spree. In the past month, I have ordered: couch slip covers, dog food, cat food, kitty litter, unscented Tide pods, vegetable wash, protein pancake mix, those puzzle exercise mat things, two bundles from ThredUp, nondairy coffee creamer, a bunch of skincare nonsense from Sephora, and every form of Tone It Up protein Target sells. 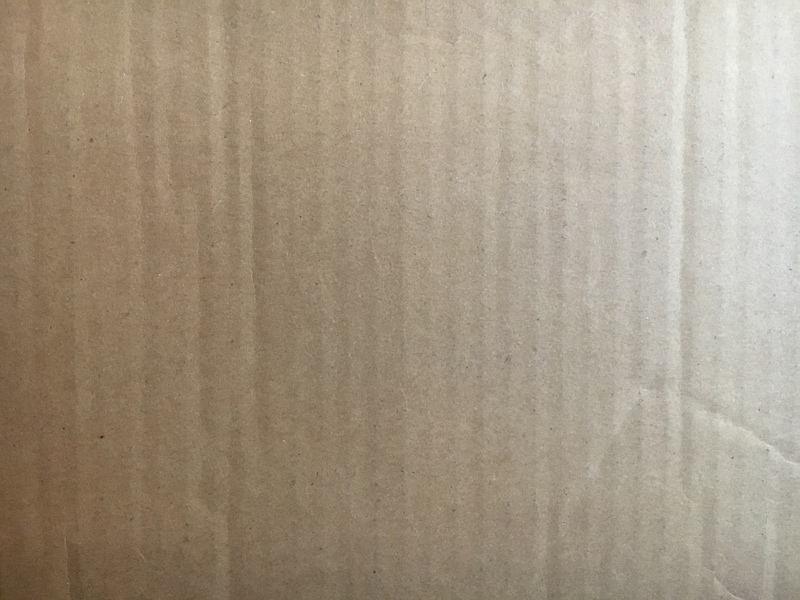 It’s also been long enough that Barkbox, Meowbox, and Stitch Fix (hi, yes, I’m still addicted to subscription boxes) also shipped out for the month of July. Of all of those orders, only one of them refused to ship DPO so it went via the Pouch. Since this tour I’m working from home, my dearest husband is charged with remembering to do everything at the Embassy. So for the past month or so he’s been subjected to daily badgering of “do we have any mail! ?” And every day he told me to calm down, crazy person. While he may be right in my needing to calm down, a part of me knew something must be wrong. Your package is still on the way, but it’ll arrive later than expected. We’re sorry your package didn’t arrive Friday, July 20. USPS recently informed us about this potential delay. You can always track your package to see the latest update. Also, the one time we did have mail, it was the shipment from Target that went through the Pouch. Clearly something was wrong. Turns out the zip code I was given was one digit off, which meant every single thing I’d ordered and shipped to the DPO since arriving was going who knows where. Thankfully, I think whomever is on the receiving end of all those packages has been rerouting some of them to us. And also they definitely hate me. The others have been returned to the seller and are being refunded. It’s not the end of the world, just prolonging my feeling of being unsettled in our new environment. I’ve been trying to adapt and work around now having some of our creature comforts these past few weeks. Perhaps this experience will teach me to stop ordering so much stuff online? But let’s be honest, I highly doubt it.